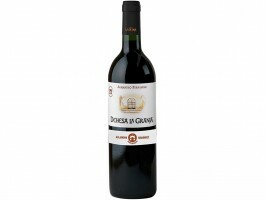 This attractive red comes from one of the four estates operated by Alejandro Fernández and the Grupo Pesquera, which is best known for Tinto Pesquera and Condado de Haza. They have controlled the historic 800 hectare La Granja estate in Zamora since 1998, nurturing vineyards as well as livestock, olive trees and other agricultural crops that fuel the bodega’s restaurant. Made from 100 percent Tempranillo, a clone cultivated from old vine plantings in Ribero del Duero, this is a developing red with appealingly exotic fragrance (suggesting abundant cedar, spice and leather notes) and a rich, concentrated palate with a core of dark fruit accented by drying tannins and the complexity that comes with age, after two years in barrel and extended bottle age. Great value.